Abraham Lincoln’s victory in the presidential election in November 1860 set the United States on the path to bloody civil war. Ever since the drafting of America’s federal constitution in 1787, the question of slavery had given rise to political contention and compromise. In the early years of the new American nation, several northern states adopted statutes of emancipation, while new technology and the international demand for cotton gave slave labour deep roots in the south. Plantation agriculture spread from the Atlantic states to the Gulf region. As a result, slave numbers would grow to four million by 1860. Most Americans deemed that the constitution gave individual slave states alone the right to determine the future of their ‘peculiar institution’. However, the westward movement of settlers and the extension of the nation’s boundaries – through the purchase of Louisiana, the annexation of Texas, and the wresting of California and other parts of Mexico by force – prompted periodic crises over the status of slave holding in the territories and the new states carved out of them. In 1820 and again in 1850 threats of civil war between North and South prompted compromise, while the democrats and Whigs – the dominant national parties during the 1830s and 1840s – worked in the main to keep the issue at bay. But in the 1850s it arose again. By the growing intransigence, and each faction’s sense of its moral and social superiority, put political compromise beyond easy reach. 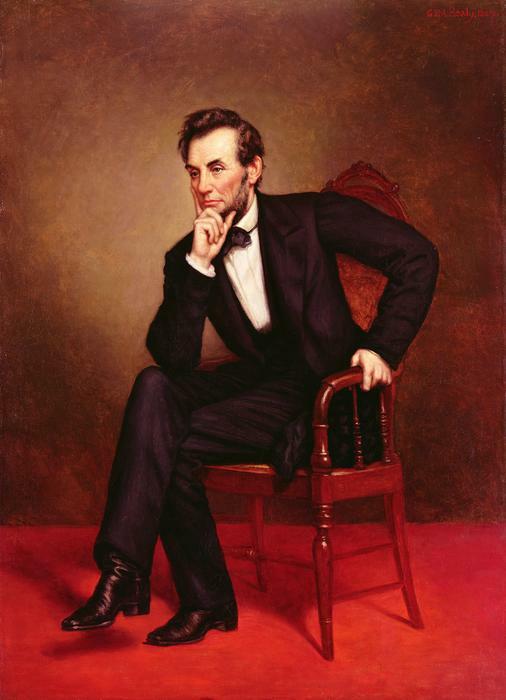 Abraham Lincoln’s victory as the Republican candidate for the White House forever changed the relationship between the American government and the institution of slavery. It wasn’t that Lincoln was the first nominee for the presidency to run on an antislavery platform. 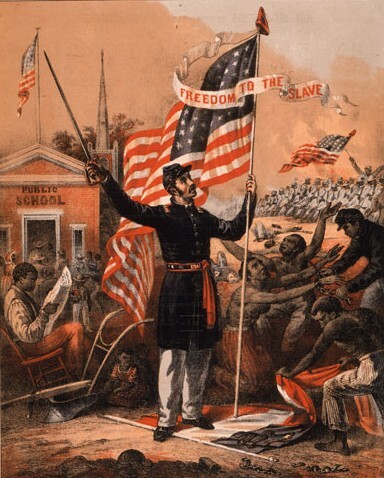 Minority parties, alarmed by the increasing entrenchment of plantation slavery, had fielded emancipationists in every presidential election since 1840, and in 1856 the newly formed Republican Party had celebrate a powerful showing on a manifesto committed to containing slavery – a ‘relic of barbarism’ – within existing limits. But the real tuning-point came four years later when, for the first time in the history of the American republic, an antislavery candidate committed to putting slavery in the way of ultimate extinction triumphed in the electoral college. Lincoln’s success prompted South Carolina’s withdrawal from the Union. At the special secession convention on 20th December the state declared she had taken her place ‘once again amongst the nations of the world’. Within two months, six other states of the lower South had joined her in forming an independent confederacy. The US constitution dictated that the outgoing president, the Democrat James Buchanan, remain in the office between the election and Lincoln’s inauguration as the 16th president on 4th March 1861. ‘Old Buck’ lacked both the authority and will to defuse the greatest crisis in the nation’s history. Its resolution would depend on the wisdom and courage of his successor. Like all political parties, the new Republican organisation was a coalition. Its constituent elements emerged from the fractured politics of the mid-1850s that created a political vacuum by destroying the Whig party and weakening their rivals, the Democrats. The Kansas-Nebraska Act of 1854, the work of US senator Stephen A Douglas, an Illinois Democrat, opened up to slave-holding settlers a vast trans-Mississippi region previously deemed the preserve of free labour. The immediate explosion of anger in the North prompted state-level ‘anti-Nebraska’ coalitions of disaffected Democrats, antislavery Whigs, independent ‘free-soilers’, and out-and-out abolitionists. At the same time an influx of immigrants, many of them Catholic, prompted a native-born backlash that further strained political loyalities. The emergent Republican Party’s opposition to the extension of slavery provided the policy glue that bound its elements together: radical emancipationists driven by moral purpose, racists determined to found lily-white western settlements, social progressives who deemed the South archaic and stagnant, and opponents of the political influence of southern planters – the so-called ‘Slave Power’ that had allegedly hijacked the federal government. By 1860 the party of ‘Free Soil, Free Labor, Free Men’ had broadened its platform to embrace homesteads for western settlers, a protective tariff and a Pacific railroad. The Massachusetts Springfield Republican located its strength in ‘the great middling-interest class’, men ‘who work with their own hands, who live and act independently who hold the stakes of home and family, of farm and workshop, of education and freedom’. Republicans made much of their role as the party of conscience, and as such appealed successfully to ‘nativist’ anti-Catholics, while also winning support within influential communities of protestant and radical immigrants, above all the Germans. Why Lincoln for the candidate? A republican leaders met in Chicago in May 1860 to choose a presidential nominee. Attention focused above all on Senator William H Seward, the former governor of New York, who was widely expected to carry the day. But his reputation for radicalism, recently heightened by a speech depicting the struggle between slave and free societies as an ‘irrepressible conflict’, put doubts in the minds of republican managers. Could he win the support of essential conservative voters in those states of the lower North (Pennsylvania, Indiana and Illinois) who had previously blocked the party’s route to power? Seward’s supporters took comfort from the handicaps under which most of his rivals laboured. Edward Bates of Missouri was too conservative, Simon Cameron of Pennsylvania too corrupt, Supreme Court justice John McLean too old, Salmon P Chase of Ohio too radical. But Seward had not reckoned on the dark horse, Abraham Lincoln. 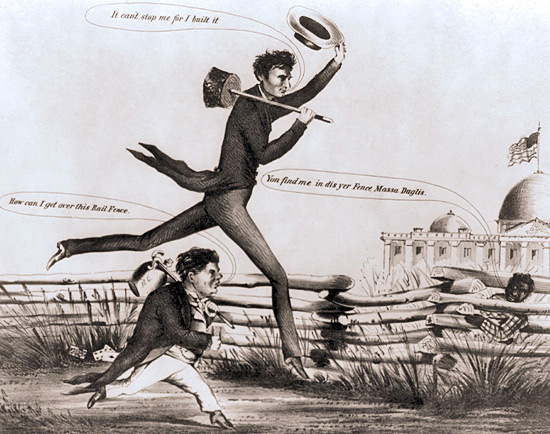 Lincoln’s seven open-air debates with Stephen Douglas across Illinois in 1858, in pursuit of election to the United states senate, had won him national attention and, had won him national attention and, by holding his own against the Democratic ‘Little Giant’, the respect of antislavery voters. More recently, his well-crafted Cooper Union speech in New York city altered easterners to the intellectual sophistication and moral backbone of a westerner they had not before encountered in the flesh. ‘His the greatest man since St Paul’, a newspaperman declared. ‘No man ever before made such an impression of his first appeal to a New York audience’. 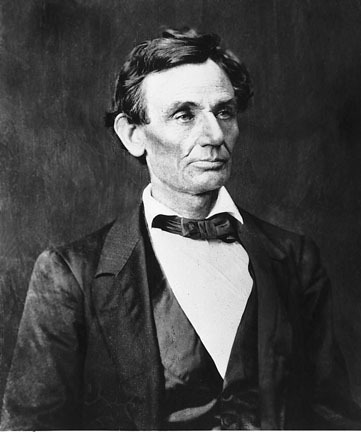 Adamant that to restrict slavery was to sustain the purposes of the nation’s founders and the principles of the declaration of independence, but insistent on the constitutional rights of the southern states to the protection of their ‘domestic institutions’, and personally untained by nativism, Lincoln offered a blend of moral radicalism and legal conservatism that allowed his managers at Chicago to present him as the party’s most reliable hope in the doubtful states. rational political logic, not luck, secured his nomination. Why did democratic Party split? 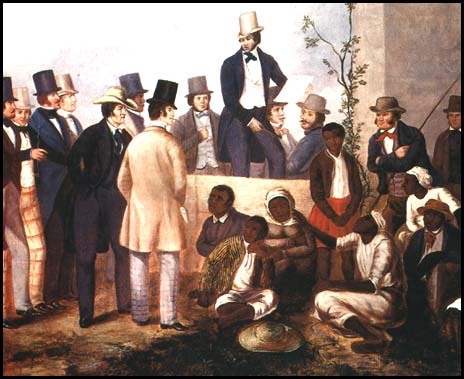 Enthusiastic expansionists, the Democrats as a national party had to fashion a policy for the western territories that would minister to the incompatible ambitions of free-soil and pro-slavery settlers. For a time Stephen Douglas’s formula of ‘popular sovereignty’ – leaving the settlers themselves to resolve the issue by a local vote – kept northern and southern Democrats happy. But the doctrine was inherently ambiguous: as a unifying principle it could not survive a civil war between pro-slavery and free-soil settlers in ‘bleeding’ Kansas or President Buchanan’s freeble yielding to supporters of a pro-slavery constitution there. 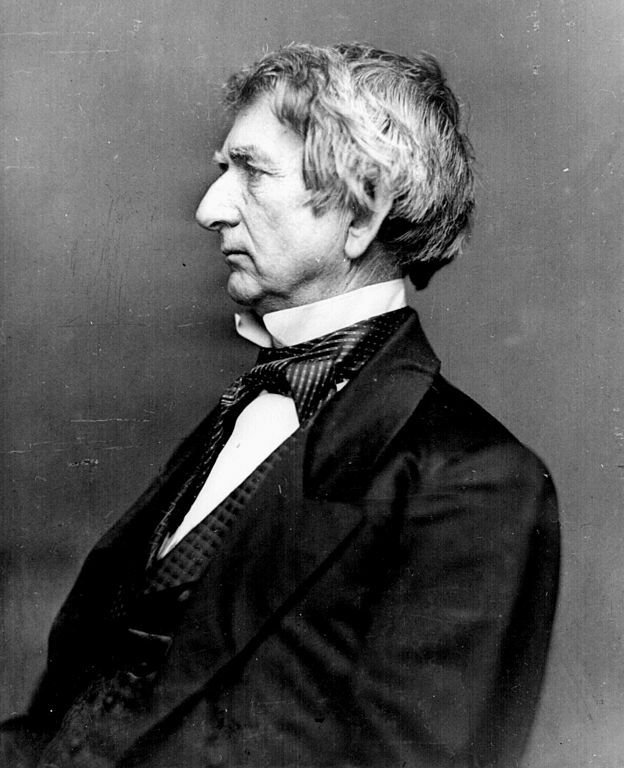 Douglas’s political survival in Illinois and the wider North forced him to turn against the national administration. Even so, as the country’s leading Democrat he expected to win his party’s presidential nomination in 1860. 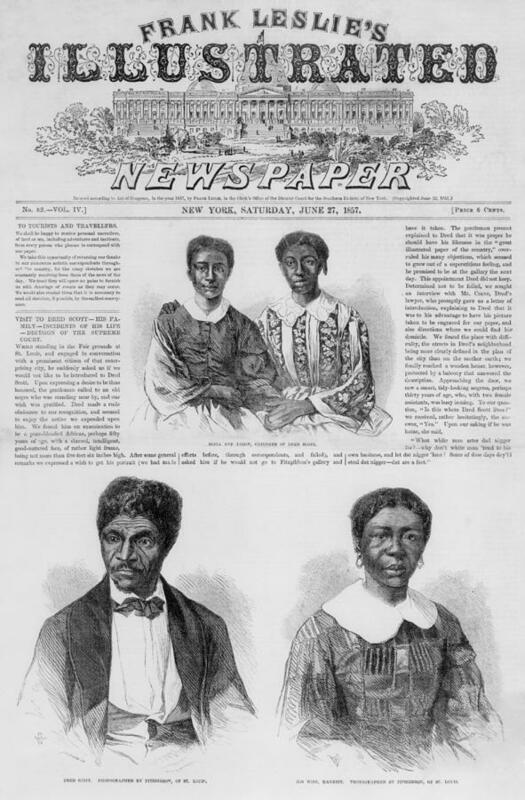 By then, however, influential southerners had jettisoned popular sovereignty and, emboldened by the Supreme Court’s landmark decision in the Dred Scott case (which declared slave-owners’ property rights sacrosanct), had begun to call for federal legal protection of slavery in the territories. 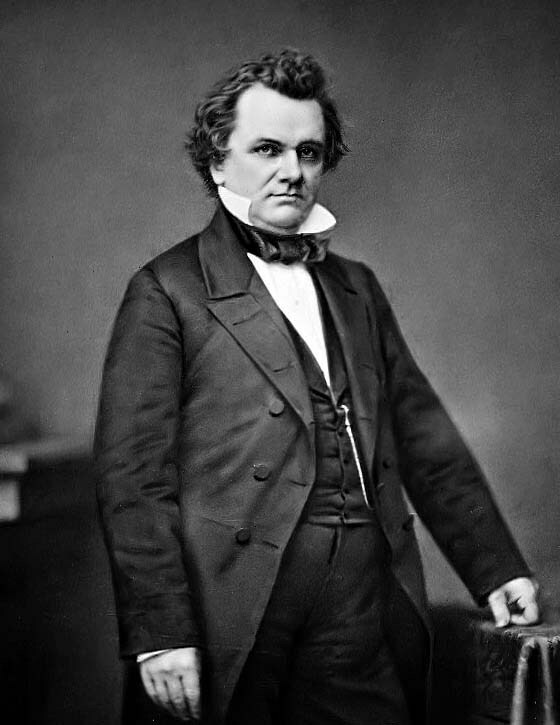 The party’s fraught national conventions saw it split over the issue of a federal slave code, leaving Douglas to fight the election as the candidate of the regular Democrats, and the Kentucky slave-owner, John C Breckinridge, to stand as the representative of southern radicals who stood ready to countenance quitting the Union if they did not get their way. Why didn’t Lincoln run in the South? A Southern nervousness over the rise of an antislavery party boiled over in the fall of 1859 following the misbegotten attempt of the abolitionist John Brown to spur a slave uprising by seizing the federal armoury at Harpers Ferry, Virginia. Horrified southern leaders denounced the ‘Black Republicans’, as fomenters of racial revolution. But the Republicans cast themselves as the genuinely national party, loyal to the intentions of the nation’s founders and true to the interests of the non-slaveholding whites of the South. 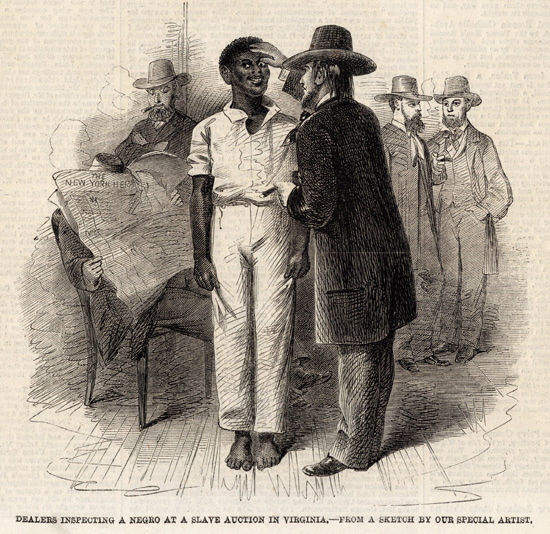 This was a self-perception reinforced by the polemical writings of a North Carolinian, Hinton Rowan Helper, whose Impending Crisis of the South attributed the condition of impoverished southern whites and the backwardness of their economy to slavery’s corrosive effect on enterprise and opportunity. The book became a mainstay of Republican propagandists in 1860. Southern authorities banned it, while vigilantes murdered or drove out those who preached its doctrines. Lincoln’s party put up candidates in some of the states of the slave border region, and Lincoln himself earned several thousand votes in border slave states such as Missouri and Delaware, but did not risk life and limb in the lower South, where no Republicans appeared on the ballot. What part did the election outcome play in the coming of civil war? War followed upon southern secession because Lincoln, supported by a majority of northerners, refused to concede that any of his fellow countrymen had a constitutional right of withdrawal from a ‘perpetual’ Union, and certainly not in response to a democratic election fairly contested and legitimately won. When in early April 1861 Lincoln sent an unarmed vessel to resupply federal fort in Charleston harbour, the Confederate batteries opened fire. As Lincoln later put it: ‘Both parties deprecated war; but one of them would make war rather than let the nation survive; and the other would accept war rather than let it perish’. The war, then, was about the survival of the nation and, in its early stages at least, not about the survival or death of slavery. But the election of 1860 revealed the huge fissure between North and South over their incompatible understandings of the peculiar institution’s future in the republic. That fissure had grown more profound since the annexation of Texas (1845) and the Mexican cession (1848) had raised fundamental questions about the status of slavery in the new acquisitions. The political contention reached its climax in the election of 1860. Whatever the later claims of Confederates and their modern successors, the crisis of the Union of 1861-65 was not about ‘state’s rights’ in the abstract. It was about the apparent threat to the power of the slave states to regulate their ‘domestic institutions’. No one explained this better than Lincoln himself, a months before his assassination. The slaves, he said, ‘constituted a peculiar and powerful interest. All knew that this interest was, somehow, the cause of the war. To strengthen, perpetuate, and extend this interest was the object for which the insurgents would rend the Union, even by war; while the government claimed no right to do more than to restrict the territorial enlargement of it’. The election of 1860 was at the heart of this story.